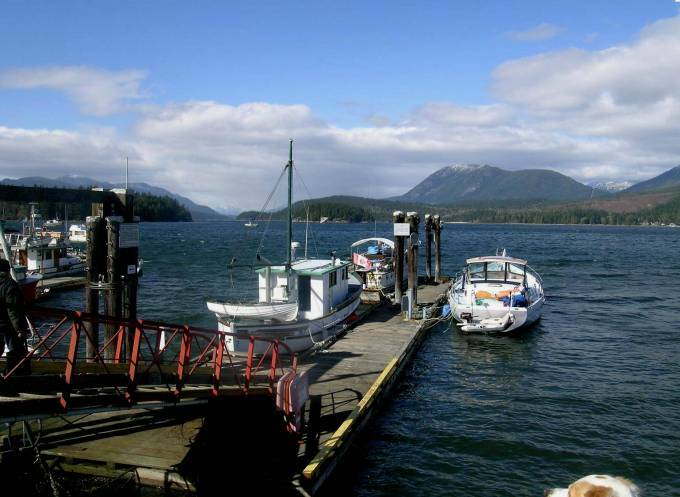 The Porpoise Bay Government Wharf, a member of Small Craft Harbours, is located at 5770 Wharf Street, Sechelt BC (N 49 o 28.987 W 123 o 45.483) offers over 280 metres of berthage space consisting of three fingers extending from a header float. Porpoise Bay Government Wharf has shore power, a pump out, a grid and a boat launch for small vessels. Washrooms, showers and laundry facilities are also available and are located at the Lighthouse Pub next door to the municipal parking lot which is adjacent to the pier. Soon there will be an electronically operated derrick. At our Harbour Office we have information on local attractions and events, local businesses and restaurants. In addition there are pamphlets on boating, marina and wildlife topics and maps of Sechelt, Sunshine Coast and local hiking trails and beach accesses. The staff at the District of Sechelt and Porpoise Bay Government Wharf are pleased to be participating in the “Clean Marina” program. Clean Marina is a voluntary program of the Georgia Strait Alliance in which participating marinas work with the Georgia Strait Alliance in achieving the highest environmentally responsible standards. Please visit Georgia Strait Alliance (www.georgiastrait.org) for more information. To check availability of space and to book berthage or the grid please call 604-885-1986 Monday to Friday 8:30 to 4:30 or call 604-740-6588 after hours. For the convenience of visitors and for security, there is a caretaker after hours and a gate that is locked at night. Berthage and power are charged at daily and monthly fees with reduced berthage rates for commercial fishing vessels and a discount for prepayment of three months of berthage for all vessels. We accept Visa, MasterCard, Debit, cheque and cash payments at the Harbour office. Debit payments can be made at the District of Sechelt office. The owners/operators of any boats using our dock must sign a Harbour Authority Berthage Agreement and abide by our 494, 2010 - Porpoise Bay Harbour Regulation Consolidation. Learn more about federal legislation on the issue of abandoned boats underlines the need for boaters to take proactive measures and appropriately manage their vessels through to their end of life from the Boating BC Association.